This is a continuation of our series of accounting courses that will greatly increase your knowledge and understanding of the theory of accounting and accounting practices. 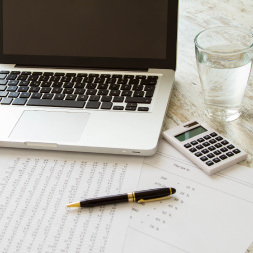 This free online accounting course explains the processes used to close your accounts at the end of an accounting period, from creating a worksheet that facilitates the generation of the Income Statement and Retained Earnings statement to the generation of the Balance sheet. You will also be shown how a Classified Balance sheet is broken down into current and long-term assets and liabilities. The important Current Ratio figure is calculated and explained in context. You will also learn a little about the history of accounting systems and the impact of computerization on the process. This free online accounting course will be of great interest to entrepreneurs and business professionals who would like to get a thorough introduction to accounting principles, and to any learner who is interested in accounting as a future career.